This update adds some exciting new tools, as well as many incremental improvements to the software which are designed to increase workflow efficiency, improve automated processes and make the software more intuitive. There are a couple of changes to core functionality that you should be aware of and are discussed at the bottom of the post. We recommend that all PCSWMM 2009, 2010 and .NET licensees with a valid support contract should download and install this latest update to PCSWMM. 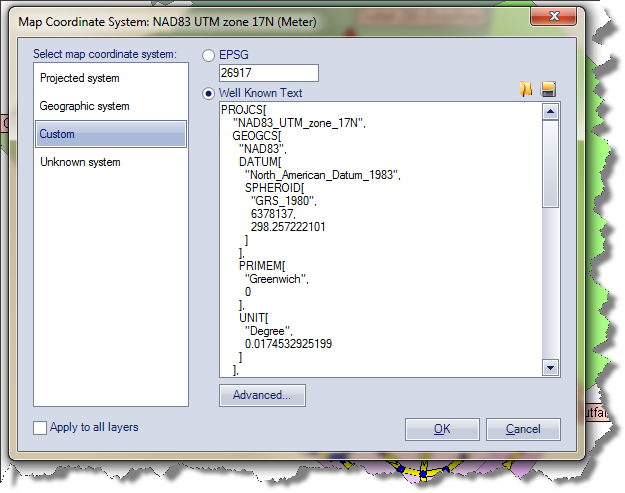 Here are some of highlights of the more exciting new tools and functions added in PCSWMM 2010 version 3.7. A new Project Manager for browsing, renaming, moving and deleting projects. SWMM5 projects can have many files associated with them, which can hamper trying to move, rename or delete them outside of PCSWMM (i.e. in Windows Explorer). Now all of that complexity is removed with simple intuitive buttons in the Project Manager. It is now much easier to display observed vs computed error directly on the graphs, for in-application viewing or exporting to reports. This applies to time series graphs as well as calibration plots, and dynamically updates as you zoom in/out or pan the graph. In addition to the 2,900 user-selectable projections already provided, we have added the ability to set your own custom projection information by entering one of: a EPSG number, a Well Known Text projection file, or manually entering the projection information directly. Node positioning for imported HEC-RAS reaches and transects were previously calculated by proportioning section length against the map length of the reach. 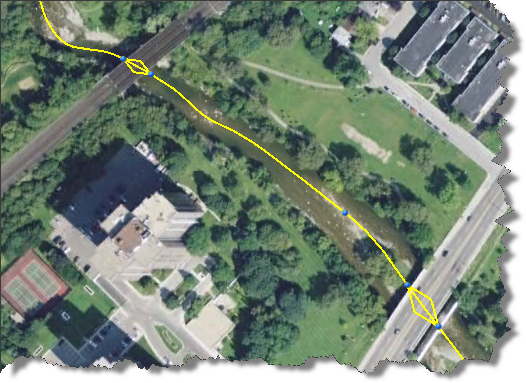 While representative of the model view, the new option for using georeferenced cut line information provides extremely accurate location of bridges, culverts, etc. This in turn improves the overlay of flood inundation polygons on existing maps. 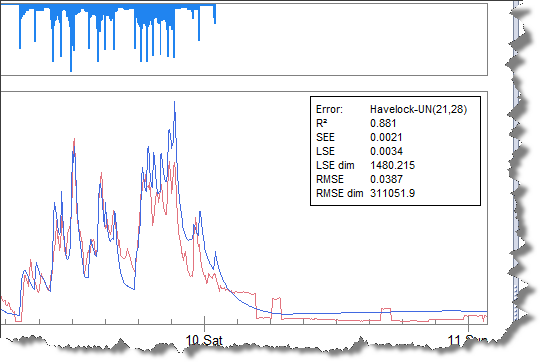 As part of our backward compatibility initiative, PCSWMM 2010 version 3.7 introduces the ability to open any SWMM4 input time series (rainfall, flow, water quality, etc. ) directly from SWMM4 input files. All SWMM4 input file types are supported: RUNOFF, TRANSPORT, EXTRAN and STORAGE. All time series contained in the input file is presented in the PCSWMM Graph panel and can be analyzed, used as input to your SWMM5 model, or exported in any of the supported time series formats. In addition, the SWMM4to5 converted can now be launched directly from the PCSWMM Import Data Wizard. When you are reviewing the Status report and want to know more about an entity in one of the many tables, simply right click on the entity name and a menu pops up allowing you to select the entity to display attributes, see the local profile, or zoom to it in the Map. When you are calibrating the model, you can now choose to view up to 4 tiled graphs simultaneously in the SRTC tool, all of which dynamically update with changes to the radio tuning sliders. The mouse wheel zoom operation is now faster for zooming in/out with small and large datasets. The behaviour of the left mouse button in the Map panel has been changed. In previous versions, dragging with the left mouse button created a selection box for selecting all touched-by entities. In the new version, dragging with the left mouse button will instead pan the map, similar to how Google Earth and other similar applications behave. The selection box functionality is now accessed by holding the Ctrl key down before dragging with the left mouse button. The advantage this change provides is that map panning (a very common map operation) is no longer a secondary function accessed through switching to a Pan mode. Furthermore, the mouse wheel pan function is mechanically difficult to pull off without rotating the wheel on most mouse hardware. The Pan button has been removed as it is now redundant. We've provided some additional tips on mouse selection below. The scope of application of the Edit functions in the Graph panel has changed. In the previous versions of PCSWMM, edit operations applied to one of: the selected portion of the time series (highlighted in blue, if any), the zoomed in portion of the time series (if zoomed), or the entire time series (if zoomed out). In this version (3.7 and newer), edit functions are applied to either the selected portion of the time series (if any), or the entire time series. The current zoom extent no longer has an effect on the scope of the edit function application. Relatedly, the selected time series period will now automatically become unselected if any part of the selected portion is outside of the zoomed graph extent. This prevents the editing functions from accidentally being applied to a portion of the time series that isn't visible. In addition, the interface for the Edit Functions has been changed to more clearly indicate what the functions are being applied to, and provides a method for selecting the time series to be edited directly from the Edit Functions frame (with a new dropdown list control). All these changes hopefully add up to make the graphical editing of time series more intuitive to new users. Rim Elevation is now a permanent and managed attribute of SWMM5 node layers. The node Depth attribute is automatically calculated (Depth = Rim Elev. - Invert Elev.). You can switch between editing the Rim Elev. and the Depth attribute through the Preferences dialog (or in the Options menu of the Attributes panel). If you open an existing project, PCSWMM will create the Rim Elev. attribute (RIMELEV) and calculate its value from the existing Depth and Invert Elev. data. SWMM5 Outfall entities do not have a Depth attribute, however PCSWMM will use the new Rim Elev. attribute value (if any is provided) to present an optional ground profile at the outfall. I need to stress that for outfalls, the Rim Elev. is used for graphical profile presentation and is not used by SWMM5. There are many other improvements - for more details on the new release, as well as for downloading the update, please see the notes in the product downloads page. The mouse provides an extremely flexible way of selecting any combination of entities on any number of layers in the Map panel. Holding the Ctrl key down allows you to click on many entities in the current layer and add them to the group of already selected entities. Holding the Ctrl and Alt keys down when clicking with the left mouse button allows you to select multiple entities on multiple layers. Holding the Ctrl key down and dragging a selection box with the left mouse button allows you to select multiple entities on the same layer. Holding the Ctrl and Shift keys down and dragging a selection box with the left mouse button allows you to add new entities to the group of already selected entities. Holding the Ctrl and Alt keys down allow you to select multiple entities on multiple layers by dragging a selection box with the left mouse button. Holding the Ctrl, Alt and Shift keys down performs a combination of items 4 and 5 above. If you have a need to repeatedly select a group of entities based on complex criteria, remember that you can set up an SQL Select By statement in the Select by Query, and save the query for quick recall. If the selection criteria can't be defined through existing attributes, you can select your entities manually with the mouse as indicated above, and give the entities a common Tag (or user-defined attribute value) and then use the Select by Query tool to select all entities with this tag. Note that the Select by Query tool can select entities on multiple layers simultaneously. Remember that background layers have to be unlocked before their entities can be selected. We recommend that you work locally (i.e. save your project files and background layers on your local hard disk). This can significantly improve the speed of accessing data off the disk and saving changes to your project, as well as protects you against other users editing your data simultaneously and possible file corruption if network locations become temporarily unaccessible. If you want to keep a copy of your work on a network drive, we recommend using the Package Project function to upload the project in a single compressed .pcz file. This PCSWMM package can then be easily extracted back to your local hard drive when you next open it. Please note that for multiple users, a check-out / check-in feature is planned for the next update. Note that you can choose what files to include in the PCSWMM package file: SWMM output files and other associated files, background layers, time series, etc. Please be aware that some background layer files can be very large and the SWMM5 output file can be extremely large (depending on the model), so by avoiding placing one or more of these files in the PCSWMM packaged project can make a significant difference in the time required to package or unpackage a project.